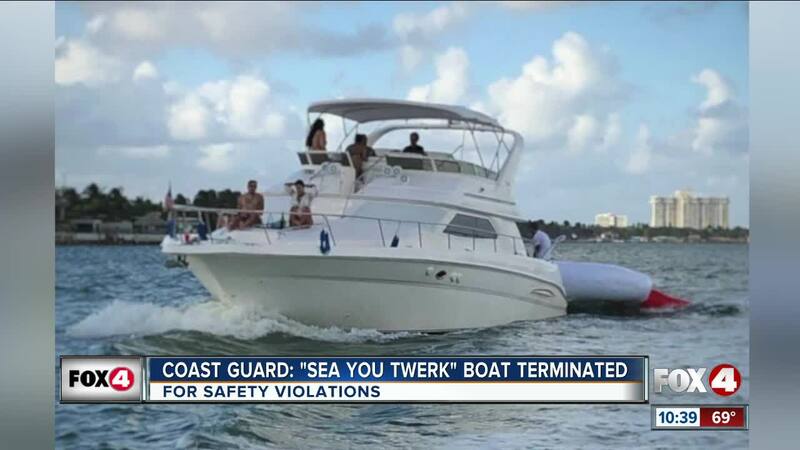 The Coast Guard terminated the voyage of the 45-foot pleasure craft Sea You Twerk with 14 passengers aboard Sunday in Biscayne Bay after discovering multiple safety violations. MIAMI-DADE COUNTY, Fla. – It was not-so-smooth sailing for one boat in South Florida this week after the U.S. Coast Guard boarded the boat. The Coast Guard has terminated the voyage of the 45-foot craft "Sea You Twerk" in Biscayne Bay Sunday with 14 passengers aboard after discovering safety violations. Some of the violations included not having a valid certificate of inspection or a credentialed mariner in control. The Coast Guard says the boat also didn't have a drug and alcohol program. “It can be very dangerous to take part in a charter that doesn't meet regulations and educating yourself on what to look for to determine whether or not the operation is legitimate can save your life,” said Jesus Porrata, Coast Guard Sector Miami lead marine investigator. "It's important that people looking to charter a boat verify the captain’s license and safety of the vessel."